A Pioneer 3DX robot traveled during an experiment at the opening of the Fabric Discovery Center at UMass Lowell on Thursday. The new Fabric Discovery Center at the University of Massachusetts Lowell is about so much more than couture. 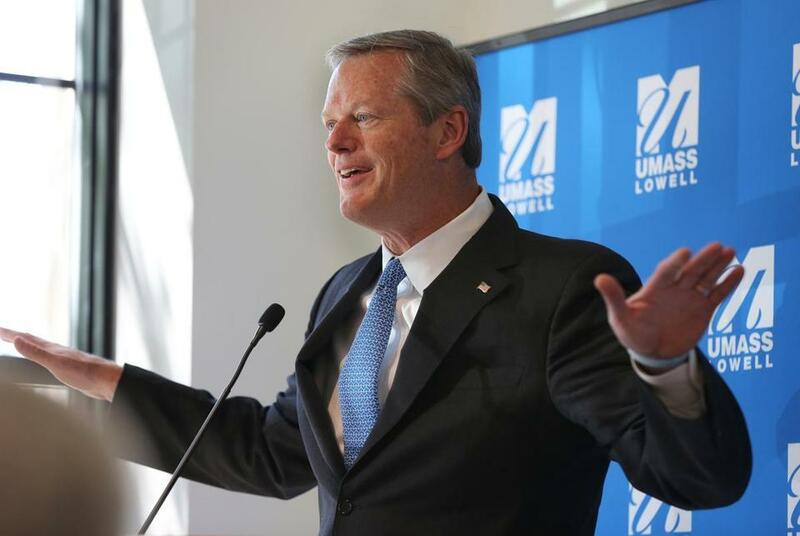 Opened Thursday with a ceremony that included Governor Charlie Baker, the center will explore so-called smart clothing — fabrics with special properties and wearable electronics, such as flame-retardant pajamas for children, or military uniforms that track the locations of soldiers. Embedding technology into the fabric is more effective than traditional methods, such as coatings that can wear off or be toxic to humans, or electronic devices that are bulky and awkward to wear. Governor Charlie Baker spoke at the event. Julie Chen, UMass Lowell vice chancellor for research and innovation, said the flexibility of modern fibers, coming in so many different sizes and materials, has opened a whole new frontier for products. “Fabric makes for more human-centered technology. Everything doesn’t have to be a square box,” Chen said. 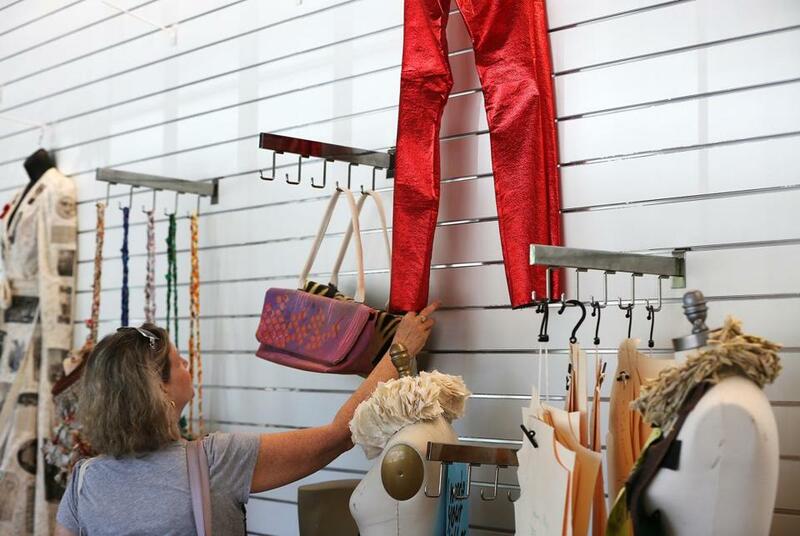 A woman looked at pants made by Diana Jaye Coluntino out of a coated cotton remnant. For example, UMass Lowell students and faculty are working with manufacturer Saint-Gobain on an industrial fabric with embedded sensors that can detect when a building material, such as a pipe or concrete supporting column, has internal deterioration that cannot be seen from the exterior. The center is also partnering with Raytheon to make flexible antennas that can fit inside helmets, to improve communication, for example, or even to detect concussions. 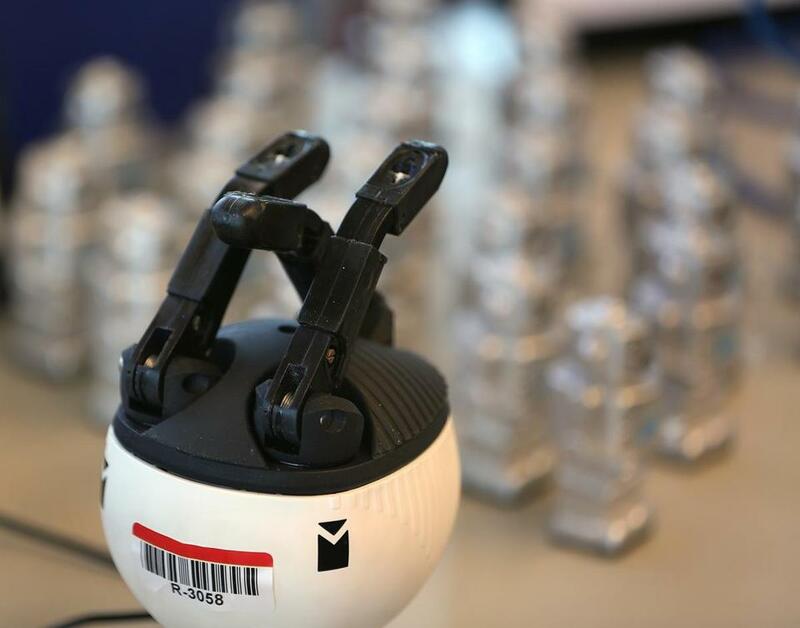 Among the many robotics activities at the center is an “armada” of mechanized hands and arms that businesses can use to test new manufacturing processes. A Reflex One gripper went through its motions. UMass Lowell used most of an $11.3 million state grant to build the fabrics center, which will share space with a robotics testing facility and a medical device center in a renovated mill on Canal Street. “We want to provide a resource for companies in the region to develop their products more quickly, and a gathering place where companies can come together and work with each other,” Chen said. The fabrics center is also funded in part by an initiative of the Defense Department to invest in new technologies developed within the United States. 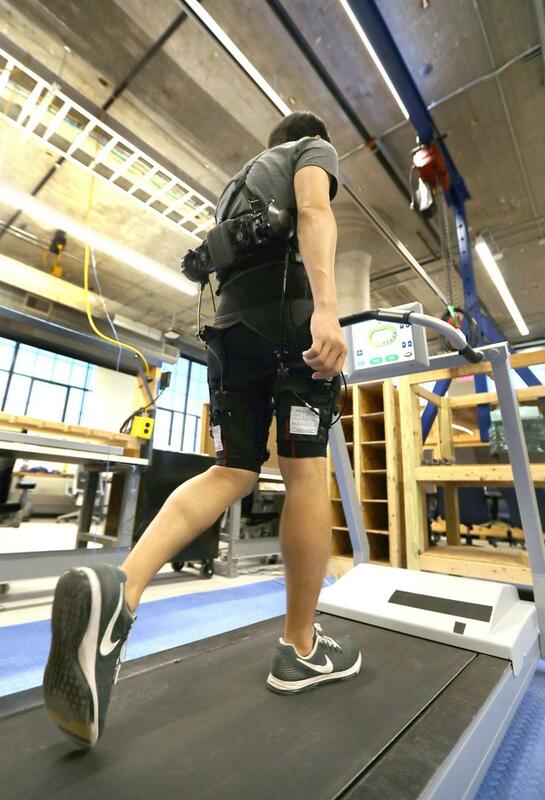 Jinsoo Kim wore a soft exosuit, designed for soldiers.